Mesanna... We Really Deserve An Explanation. We're Not The "Enemy". What is the logic behind not having "customizable" castle and keep plots? Being a logical person I simple can't understand the rational for this not happening. I simply and honestly don't get it. I don't see this current castle policy as reasonable or fair. We have the ability right now to build as high as anyone. There's maybe one or two shards where if you *really* want a castle you can't reasonable work a deal for one. The foot print really isn't an issue except we seem to base the entire game on what goes on with Atlantic. Most shards the castle is the only house in the area. Maybe if we didn't cater to Atlantic so heavily more people would play the other shards? If there were a logical answer to my original question maybe I could accept it. Maybe we can work out our differences? If there's not a logical answer to my question then exactly what are you trying to achieve? Considering the percentage of people that own castles in this game this is a real brouhaha. It's all we've been talking about. This isn't going away. The customers don't see any aspect of the entire way this was handled as being fair. Is it just possible your making a huge mistake here? I can't imagine any other situation where the actual people effected are so entirely upset with a system mechanic that it wouldn't be addressed. It in no way effects the balance of the game. It's time to stick up for us the players and show us the support and respect we deserve. It's not a sin to say "Okay. I'm not real thrilled by this but the players deserve this to be fair". We got black dye tubs after all. You've said you don't think castles should have been put in the game. We get that. But how long are you going to punish us for that? Limit the height of a custom castle to the height of the current one or whatever. I don't know how to debate this as I have no idea of the logic behind the decision. When this many people disagree with a decision, and are this vocal about it for years, then there's gotta be a problem in there. I don't think we are all an unreasonable mob in general. Thank you for listening. At least I hope you take the time to. I think this is all you will get at this point. Is that all we deserve? At this point, yes. We keep paying to be beaten up like this. If one can logically justify a position, I might not like it but at least I could understand it, and have closure. If you can't logically explain it then what are we doing here? Maybe we can find acceptable common ground. Game balance sometimes you gotta carry a big hammer. But this isn't a game balance issue other than the aspect of it being unfair. This post sums up my feeling the best so far. There's an enormous performance tradeoff when the server has to stream every object in a house multi (which is what happens in a custom house) as opposed to loading it from the client that you already have downloaded (which is what happens in the pre-fab houses). Because of this custom castle and keep plots are not likely to be seen outside of TC. There are lot of custom houses which in many areas like Malas stretch for miles. And the performance seems to be adequate. Why is it that castles that are few and far between would have a greater impact? It has to do with several factors, mainly the biggest is the # of components in an 18x18 vs the # of components in a 32x32 that someone loaded full of components as part of their design. Combine this by the # of lockdowns/secures, unrestricted house addons (goza mats), and stone crafted items we soon get into very high numbers of objects. Also don't forget that this is in the context of a subserved. Just because you may be 200 tiles away, the subserver is still chugging away handling all this. But all said and done two 18x18 houses equals one castle and there are a ton of 18x18s out there. We can lose more birds, I'm okay with that We put a man on the moon we could make this work. I'm so happy we put a man on the moon, that works with everything I appreciate the effort you put into your reply. Sounds like an Atlantic problem to me Did test center crash and burn when everyone was building castles? Did recalling and such come to a halt? If anyone has seen my castle I'm pretty sure the amount of stone crafting I've put into it equals about that of any 3 custom houses. I don't notice any lag at all. There's so many solutions to this. Reduce the amount of items a custom house can hold. A combination of static and custom. So many options that might not be ideal but give us the choice. A common benefit. The current castle static outside walls with the insides gutted for customization. Perhaps an 18x18 area in the center to customize? I currently have so many walls and tiles I don't need trying to work around the current castle walls. I would rather have large open areas. Pretty sure I could reduce the server load over the current situation. The official excuse from a few days ago is the performance hit due to all the tiles. It does not seem plausible to me due to all the custom 18x18 doing just fine. Well one can't find a solution if they don't look for one. Since this has been going on for years anyway... how about they create a program where we create a customized castle and submit it. A few days later or whatever it comes back as a static building option on our house sign? Maybe that's a little out there but no more so than what we are doing currently. It really sounds like a problem that doesn't exist in general. I don't remember hearing about all the test center reverts while this testing was going on. 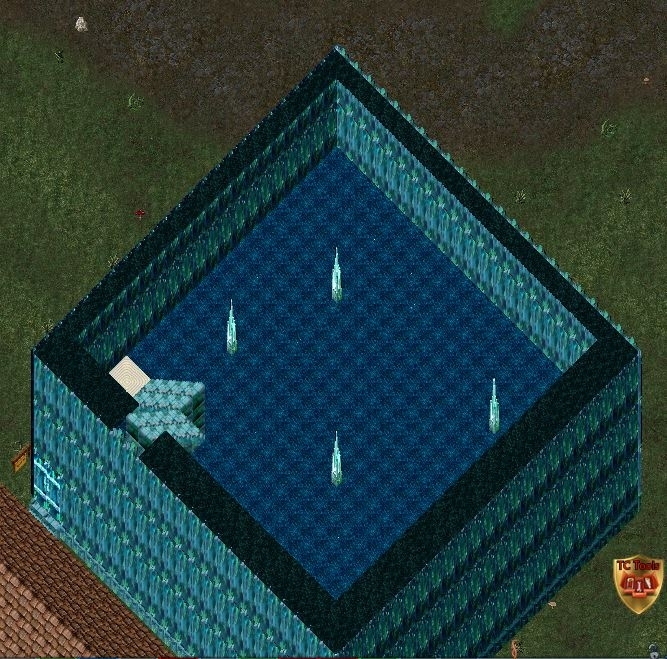 Test center probably had more houses on it than 95% of the live shards. God forbid we put some effort into making the game super exciting to a ton of people. Custom housing is probably easily among the top 5 coolest things UO ever did. I'm pretty fond of vendor search too. But lets keep that tradition rolling. I think a lot of this is based on "what ifs" other than actual fact. UO is failing us. I honestly don't believe they aren't smart enough to make this work. It's an issue that should have been put to bed long ago. Most shards are empty. How big of an issue can this actually be? Honestly. Well one can't find a solution if they don't look for one. Since this has been going on for years anyway... how about they create a program where we create a customized castle and submit it. A few days later or whatever it comes back as a static building option on our house sign? Maybe that's a little out there but no more so than what we are doing currently. It really sounds like a problem that doesn't exist in general. No solution is needed. The performance excuse is a recent one. In previous years Mesanna stated more than once that customizable plots are not gonna happen because she does not want people making Borg cubes. This is the real reason. Producer in a sandbox game with arguably best customizable housing in the industry feels it's her place to impose her sense of aesthetic propriety on the players. Honestly no. Not a board I keep track off. But great minds think alike! Well my response is... you really don't see Borg Cubes that much in 18x18s. Most do it up with some style. No reason this wouldn't hold true with castles. Castles have more room to work with so they would be less likely not to get creative. PLUS 2 18x18s has noticeably MORE storage than a castle and have a larger foot print so it really isn't like we're talking a big difference. We're really talking a slightly larger house. The server lag argument really doesn't hold up. Some posts have been removed. A little less venom and a bit more respect please. I didnt get to read those. Can you please PM me the posts? Having read and made some of those posts, there is nothing to be gained from you reading them. offer a housing tool for alot of gold, also offer it for sov's. This way if you cannot afford it in game, you aren't going to other sites and UO profits. You make the castle on TC, get it approved, and it's added as a static house for you to place on on live servers. the gold sink/extra revenue they want. the option, albeit pricey, for the castle we truly want. I would be willing to pay a pretty penny for the keeps/castles I want. To me that is a REAL luxury item. I hate to be the fly in the ointment... but you forget who runs this show... Bonnie Armstrong. She has good and sound reasons not to let plots be on the list. It was hell to get her to let us do these! The choices are set. its not a plot you can change.. This was the whole idea.. set houses. I have seen the monster buildings some have made... You cant tell me it will not happen. You and I know you can bet your bottom dollar in the first minutes of an open plot of castle size a "BORG" cube will show up. Lag is bad enough when you pass a fully designed home I can only imagine the nightmare on Atlantic if one got its foothold there! And if, God forbid, someone makes a castle sized Borg cube, the problem with it is what exactly? UO is a sandbox, and people pay to have the freedom to play as they chose. While we are at it, should Mesanna put together some rules about how players should dress their characters? So many are not color matched, and others mix styles with atrocious effects. Should not that be policed as well? I am sorry if I don't find Mesanna's sense of beauty being offended as a "good and sound reason" to reject a feature that is requested by so many, and that can give players months of game play with minimal dev time investment. As far as the lag, I have no idea what antique PC you are running UO on, but the only lag I ever experience is when near a castle that is filled with manequins (there is someone on my shard who has an army of them). I do not recall ever getting lag just from structures. Moreover, houses don't even load the internal stuff unless you go inside, so I am sorry, I am not buying the lag excuse. She may have good or sounds reasons in her mind. That's why I asked. It appears we don't rate a response. Ever play a game where the game developers actually talk with the players? It's a very cool thing. I don't mean just to farm information but have actual dialogs about issues. 5 year old stunts? Really? You would not believe how hard I'm trying to be civil then get slapped with comments like this. But Since you support the status quo I guess your posts can stand. I know some people are still running Vista and playing this game but if you've got lag it's time to buy a computer made in the 2000s. Nothing is cast in stone, how many times has the PvP system been revamped and re-imagined? The current system has clearly been a mistake and waste of time and it's time to get serious with a system that works. If your gonna do it, do it right. I seldom post before coffee but I did today anyway. I don't know your excuse for the personal insults but you should apologize and a fair moderator would have removed it by now. Let's see what happens. If I'm forced to respond as an adult others should be held to the same standard. Sliss states it so well in general with his rebuttal that I'll tip my hat and leave it at that. I only get lag when I actually try to enter a property with a huge amount of items/stone pavers/extra walls not when I casually pass them by, but I am in the EC with a very new PC. I can't imagine anything would still run properly on Vista, it wasn't great even when it was new! "I know some people are still running Vista and playing this game"
Yup and loving it LOL. Dunno who dimed me out... I did upgrade to a wireless mouse and keyboard tho. Have little lag tho. And I don't buy into that either, much. True, Luna lags like hell. On Atlantic. Otherwise even I don't notice a lot when running thru the world. But it is what it is, we will take what they give us, what they mete out to us, and keep paying. Had to zing ya back for the "rares collectors" dig brother lol Although I wasn't directly thinking of you when I posted. Maybe it was in the back of my mind somewhere. But you should buy a new computer anyway. Help out the economy. I still miss XP which I though was the best gaming platform ever. I've seen a lot worse that weren't cubes.